I am a Ph.D. candidate in computer science at the Indian Institute of Technology Guwahati, where I am being advised by Dr. Ashish Anand and Dr. Amit Awekar. My research focuses on the applications of deep-learning to the problems in large-scale information extraction. The abstract of my completed and ongoing thesis work is available at AAAI Doctoral Consortium proceeding. 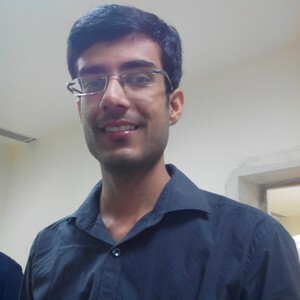 Winner of the IBM Research Lab India Hackathon, 2018. June 18, 2018 Our project was on predicting the best time and place to sell crops. Intership at IBM Research Lab India. May 17, 2018 Will be working on multi-domain adaptation and generalization of Fine-grained Entity Typing systems. Presentation at AAAI-18. February 01, 2018 Will be presenting my thesis summary in Doctoral Consortium event at AAAI-18, New Orleans, USA. Long paper accepted to EACL 2017 December 03, 2016 Our paper on fine-grained entity type classification got accepted to European Chapter of the Association for Computational Linguistics (EACL) 2017. Fall 2016 LDC Data Scholarship October 10, 2016 Received Linguistic Data Consortium (LDC) data scholarship by submitting our research proposal.